If you are also planning a trip to Ireland or Scotland this year, let us help you with some of the top events in 2014 that will surely make you want to come back again! As a start, you should check out Tourism Ireland’s video on how to win a free trip to Ireland for the Saint Patrick’s Day Festival. It’s easy, it’s fun, so go ahead and give it a try! This 3 weeks long art festival transforms Scotland’s capital into a meeting place for artists and performers from all over the world. Always in August, Edinburgh Festival brings classical music, opera, theater and visual arts into all the theaters, smaller venues and even some artistically unconventional places in the city. 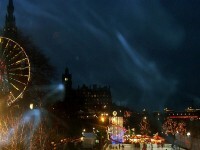 Hogmanay, the Scottish new Year’s Eve is – as you may guess – held on December 31, every year. As we pass from one year to another, the city of Edinburgh becomes one huge party place. Hogmanay is an amazing way to celebrate the New Year with bonfires, costumes and… lots of whiskey! Between Mar 14 and 17 Dublin’s life turns upside down while people from all over the world come to the Saint Patrick Festival. Treasure hunts, family activities, a Ceili, lots of concerts and shows attract visitors until the high point, the Parade, that closes the event on Monday. If you like good seafood, your place is definitely here! From September 25 to 28 in 2014 Galway Oyster and Seafood Festival turns the Irish city into a culinary Mecca. 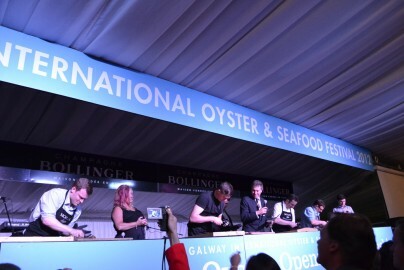 The event features the Oyster Trail, a tour of the best restaurants in the city, The Food Village at The Festival Marquee, National Oyster Opening Championship and an Oyster Feast Off as a closing with lots of activities. For those who had Scottish ancestors, but definitely not exclusively, there are homecoming events organized throughout the whole year and all over Scotland. Food, arts, music and crafts events will be held all year, as a big touristic movement, to show off the beauty, richness and culture of the land, so if you have not been there yet, travel to Scotland now!